Steve and I are getting married March 15, 2019 which means two things; I am super excited and I really didn’t want to spend a ton of money and preferred to get married on a budget. One of the simplest ways to do this is by ordering as many free wedding samples as I could. Free samples are an amazing way to save money in all areas of your life, but they’re especially great for saving money on your wedding. 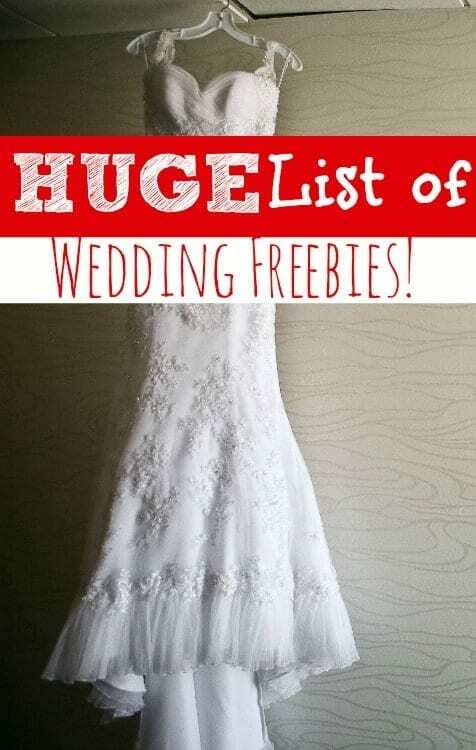 Free samples for brides are not super easy to track down though so I wanted to put together a huge list of wedding freebies so you could find everything you needed in one place! Even though Steve and I will be having a small, private wedding ceremony, these free bridal samples were perfect for helping us along the way. If you’re looking to have your wedding on a budget, these free samples for weddings can help you too the same way that they did me. They’re not going to help you save thousands on your wedding, but they will help you save a little. My motto is that any savings is a good savings and that is never more true than when you’re trying to plan a wedding on a budget. Your wedding should be the first thing that you and your fiance’ look to save money on, but it shouldn’t be the only thing. Too many couples go into debt for their wedding then spend years trying to pay it off. Don’t be that couple and don’t let planning a wedding on a budget be the last thing that you discuss financially. Your finances as a couple should start before you get married and since money is one of the leading causes of divorce in this country, should be a priority for you both as newlyweds and during the first 2 years of your marriage. Like this post? Be sure to pin it HERE to help others save money on their wedding too! Saving money on your wedding doesn’t have to be one of those situations where you are constantly banging your head against the wall trying to figure out how to do “more” to save. There are a lot of ways you can save money on your wedding that don’t just include the wedding freebies on this list. I know that it can seem hard to do, but if you really get creative and you buckle down to become determined to have a wedding on a budget, you can absolutely do it. Another way to plan your wedding on a budget is to earn all of the extra money and free gift cards that you can. There are quite a few home business ideas HERE that you could use as side hustles to earn extra money. 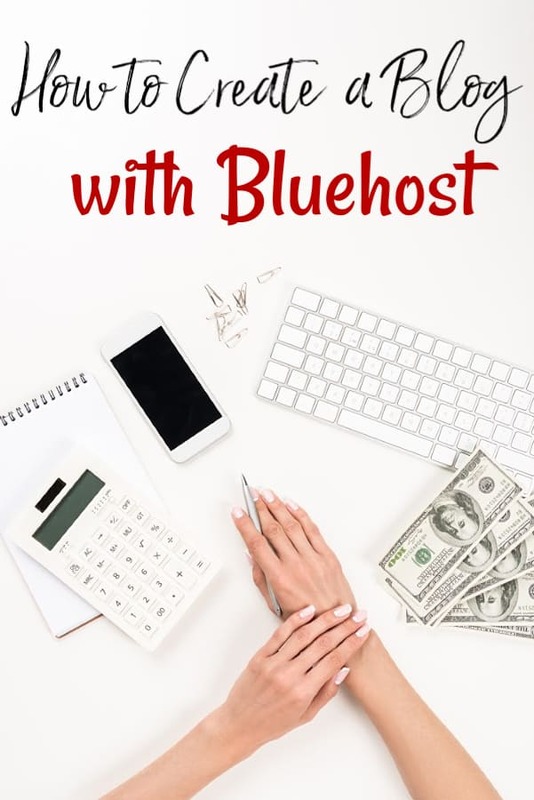 You could also learn how to start a blog to earn extra cash. I once started a hobby blog that has turned into a more than a full-time income so you never know where that will end up! Personally, I earned free gift cards with both Swagbucks and InstaGC to cover supplies. I then created a free promoter account with Le-Vel since I already use their products and began working with them. All of those methods helped to create a buffer of cash I otherwise would not have had. If interested, you can sign up for InstaGC HERE to do surveys, watch videos and more for points. Once you receive at least $1.00, you may cash out. All cashouts after your first are paid instantly by Paypal or gift card. Sign up for Swagbucks HERE and you’ll be able to earn points for free gift cards or Paypal cash. Earn points by searching the web, playing games, watching videos and more. If interested in direct sales, you can join my Le-Vel team right HERE. Simply choose “promoter” at the top and sign up. It is 100% free to create your account. I can even show you how to get product free each month! If you started early enough in your engagement, you could easily pay for most of your wedding supplies with the cash or gift cards you earn. It is very easy to earn gift cards and use those gift cards to buy supplies for DIY wedding decor and supplies. In fact, this is one of the best ways you can save money on your wedding hands down. One last thing before we jump into these free wedding samples. This post has been on-going since 2014. At this point it has outlived a failed engagement in my life and now, my wedding to Steve. I try to keep it updated once a month, but sometimes it is longer between updates. The free wedding samples below are free at the time of posting. I can not guarantee that they will stay that way. I do try to keep it updated, but sometimes one slips through the cracks or I just overlook it. Life does get in the way sometimes. If you do happen to find a freebie that is no longer free, would you be so kind as to leave me a comment and let me know so that I can remove it from the list? Finally, do you know someone who’s having a baby? If so, don’t miss out on almost $1100 in baby freebies HERE! They are fantastic in gift baskets as shower gifts! We also have a HUGE list of homeschool freebies HERE if you know anyone that it might benefit from it! Can you tell? I really, really like freebies. If you’re planning on doing any shopping for your wedding – and who doesn’t shop online – make certain you have popped over HERE to sign up for Ebates. Ebates will pay you cash back when you shop at thousands of different retailers. This is a great way to save money on your wedding. In addition, customers who are new to Ebates and sign up through THIS link will receive $10.00 cash FREE with their first purchase of $25 or more. Sometimes a free samples doesn’t fit into any category. These bridal samples and wedding freebies below are just that type! Take a look at these misc. wedding samples. I’m sure you’ll find something you’ll love. Once you’ve finished grabbing these, scroll down the post to find even more free samples for weddings. Head over HERE and you can score a FREE $10.00 Credit to ThredUp. You could use this credit to score a free wedding accessory or even to save on your wedding attire. Steve’s daughters dress for our wedding came from ThredUp and this credit made it almost free! If you have to clean your reception location or just want to start your newly married life off with a clean home, head HERE and sign up for a Grove account. New Grove customers receive a FREE 5-piece Mrs. Meyers cleaning set with their first order of $20.00. Want to stay somewhere other than a hotel for your honeymoon? AirBNB is a great option! Head HERE to score a FREE $40 credit to AirBNB good on your first stay of $75 or more. THIS link will also get you a FREE $15 credit on your first experience of $50 or more through AirBNB. If you’ve never tried Harry’s products, you’re missing out. Make sure you or your groom are smooth as can be with these amazing razors. Head HERE and you’ll score a free $5.00 credit off the Harry’s trial. You’ll pay just $3.00. This set if very worth it. These are the razors my entire family uses and the best I’ve ever used. Head HERE and use coupon code INVITED10 to score a free $10.00 credit to Honest. You could use this credit to get makeup for your wedding day. I use Honest mascara, primer and more and absolutely love them! Free Wedding Email series HERE plus coupon code from Things Remembered. One of the main reasons for getting your wedding invites printed for you is to get the neat calligraphy. Head over HERE to find Free Calligraphy fonts. Submit your request to the White House after the ceremony and you’ll receive free congratulations back. US Congressman Dwight Evans has information on how to submit right HERE on his website. New brides will need to update their name on bank accounts which may mean ordering new checks. Head HERE and you can snag a free box of personalized checks when you buy 1 other. I use this company for our own checks and love them! Use coupon code 4MHM to get the free box. My huge list of wedding freebies is big, but it isn’t the end all be all of free wedding samples. To keep updated on new bridal samples, head over HERE and sign up for the Just Free Stuff newsletter. If you are near the Austin, Texas area, check out Chapel Dulcinea. It is an absolutely stunning free wedding venue! They do require a deposit to hold your date because they are such a highly sought out location. The deposit is fully refundable, however, making them free to use. Most city parks are beautiful and free. If yours allows you to reserve a shelter house, consider having both your wedding and your reception here. Do you have a large back yard? Why not save money and hold your wedding there? You would probably need to rent chairs and any other decorations or pieces you wanted included, but doing that may be cheaper than paying to rent a venue. Most churches do not charge their own members to use the facilitates for a wedding. Yes, you’ll need to pay the Preacher but you would need to do that anyhow. Wedding freebies are super easy to grab when you open a wedding registry. Some places will give you the bonus gift simply for opening the registry. Others will require a specific purchase amount or specific item to be purchased. Your best bet is to check the requirements of each one individually. Open a wedding registry with Amazon HERE for free. Not only is it super easy to add anything from the Amazon website to your registry, but you’ll also score a discount up to 20% depending on how many items are purchased from your registry. In addition to the discount, Amazon’s bridal registry also offers a few really nice completion gifts as well as the occasional sweepstakes for entering. Dillard’s has several different incentives for opening a free wedding registry. These include a Free Pop and Serve Popcorn Maker, free luggage, cookware, coupon codes and more. Each one had different requirements. You can check out the different wedding registry freebies they offer right HERE. When you register for a Dillard’s registry, you’ll also receive the “I thee wed” wedding planner free, free shower cards and even free wedding gifts in-store after the ceremony. Like Dillard’s, Crate and Barrel also offers multiple wedding registry freebies. To be exact, there are 14 different ones available at the time of this posting. They include things from free cookware to free Nespresso credit. You can check them out and create your Crate and Barrel wedding registry HERE. There are other benefits to opening a Crate and Barrel wedding registry. You’ll receive 10% off for 6 months if your registry completes, a coupon to save 15% off tux rental, complementary announcement cards and more. Head HERE to create a wedding registry at Williams-Sonoma to score 10% off and free bonus gifts. The gifts change often so I don’t want to mention a specific one in case it expires. Your best bet is to create your registry to check. Once you have signed in, you will be able to see their wedding registry bonus gifts. Create a Target wedding registry HERE and you’ll very likely score a high dollar coupon, other store coupons and more. This is unconfirmed but they do send high dollar freebies for their baby registry that I have personally received. This makes it very worth checking out. When you create your Target registry, you will also receive 15% off all gifts you don’t receive after the wedding date and free bonus gifts. Pop over HERE and create a wedding registry at Bloomingdale’s including free completion gifts such as free barware, free cutlery and more. You’ll also receive 20% off dresses and suits, 10% off everything left on your registry and a one-time use 20% off coupon to use within three months of your wedding. Other benefits include a free thank-you card manager, free printable checklists and more. Sign up for the Bloomingdale’s wedding registry HERE or check out the Bloomingdale’s free wedding registry gifts HERE. Create a Macy’s Wedding Registry HERE and you’ll score free coupons to save as much as 25% off and of course, free gifts depending on how much of your registry is completed. Registry freebies include everything from cookware to home decor. They also offer free wedding events, a Newlywed discount and their Dream Fund program. One perk that sets the Macy’s Wedding Registry apart from the others is their Macy’s Star Rewards program. This program offers cash back – up to 10% – on purchases you make at Macy’s in the form of a free Macy’s gift card. Combine the rewards program with the Newlywed discount and other coupons and you have the potential for fantastic savings. Create a Bed Bath & Beyond Wedding Registry HERE and you’ll be eligible for a 20% off coupon, free wedding gifts at their Rock Your Registry events and more. They also offer free wedding gifts such as free stemware depending on the gifts purchased from your registry. Sur La Table is one of the few sites I have seen that clearly say they will give you free wedding gifts simply for registering. Register HERE and you can score wedding freebies such as a free Pop and Serve Popcorn maker, free cut resistant gloves and more. They also include completion gifts as most registries do. Registrants also receive a 10% off coupon code after their wedding, special events and more. To start, when you visit the Belk website HERE, you will be given a pop up offer to subscribe to their email list. Doing so gets you a very sweet $10 off $20.00 purchase coupon. This is not a free wedding sample per se’, but it would be a great way to save money on something you need. Belk refers to their wedding registry as their Registry Rebates program. Create your Belk Wedding Registry HEREand you could score free products from companies such as Calphalon, Waterford Crystal, Lenox, Cuisinart and more. Sign up for a JCPenney Wedding Registry HERE and get Free Wedding Announcement cards as well as completion gifts and coupons. I did not register at JCPenney and their website is pretty vague so you’ll need to create your registry to see what their current offers are. We all know the free wedding site The Knot. Head over HERE and you can download The Knot Wedding Planning App for free. The app includes a free style quiz to help you plan, vendor listing, free wedding website and more. The Knot Wedding Planning App is available for both iPhone and iPad. Another free wedding planning app is the Wedding Happy-Wedding Planner app. This one includes a free wedding budget, task checklist, payment tracker and more. It is available for both iPhone and iPad HERE. The Wedding Inspiration and Planner From OneWed is a free app that can be used to find wedding products you love. Use it for inspiration for your own wedding or to purchase that hard to find wedding item you’ve been searching for. It is available for iPad only HERE. The Wedding Planner by WeddingWire app is great for brides that want to plan their wedding on the go. It includes a free wedding website, budget and more. It is available for IOS devices HERE. Keep your friends and family updated on your wedding – including the story of how you met – with the free Tie the Knot app HERE. It also allows you to add photos, wedding and reception date/time info and more. It is available for IOS. iWed Planner helps you keep track of RSVP’s, seating charts and more. It even has a countdown to your wedding. It is available on iPad and other IOS devices HERE. Keep control over seating at the reception with the My Wedding Table Planner IOS app HERE. It even allows you to change table shape and size to help match the seating at your reception location. Kindles are great for planning your wedding and free wedding planning apps for Kindles are even greater! If you don’t have a Kindle, you can purchase one on Amazon HERE or download the free Kindle apps HERE. LadyMarry is a free wedding app that is available on multiple devices. If you have a Kindle device, head HERE to download the LadyMarry Wedding Planner app for free. For Android phone users, it can be downloaded HERE. It is also available on IOS devices HERE. It includes things such as a wedding timeline, customization checklists, collaboration with your wedding party and more. This free wedding planning app seems to have it all! Head over HERE and download the free WeddingList app for Kindle and get help with wedding planning, checklists, reception planning and more. Like the IOS version, The Knot wedding planning app is a great free app! It can be downloaded for Android HERE and includes vendor lists, guest lists and more. This is one app I use on my phone personally right now. It’s nothing more than a simple countdown to your wedding day! Add your names, date and time and it’s off and running. It can be downloaded for Android HERE. Grab the Wedding Planner by Wedbox app HERE and you’ll find customizable wedding checklist, a wedding budget, collaboration with your wedding party and more. The Big Day free wedding app is another wedding countdown app. It offers multiple layouts, customizable photo backgrounds and more. Download it for Android HERE. Everyone snaps photos at weddings so why not allow everyone to collect them and upload them in one place. Download the app HERE and you can create a private forum only for your guests. This will allow them to upload photos and videos from your big day that you may otherwise miss seeing! Finding and contacting wedding vendors can be a headache. Download the WedMeGood app HERE and keep all vendor contacts easily in one place. Can’t find a vendor? Search their vendor directory to find what you need. MyWed is the all in one wedding planning app. Create guest lists, budget, checklists, seating charts and more. Download it HERE from the Google Play store. Free wedding books can be hard to find, however, they do exist. One way to read books about weddings for free is to sign up for Kindle Unlimited. This allows you to read included books totally free. There are thousands of free books included. If you are new to Kindle Unlimited, you can receive 30-days free when you sign up right HERE. If you don’t currently have a Kindle, you can purchase one on Amazon HERE or download the free Kindle apps HERE. 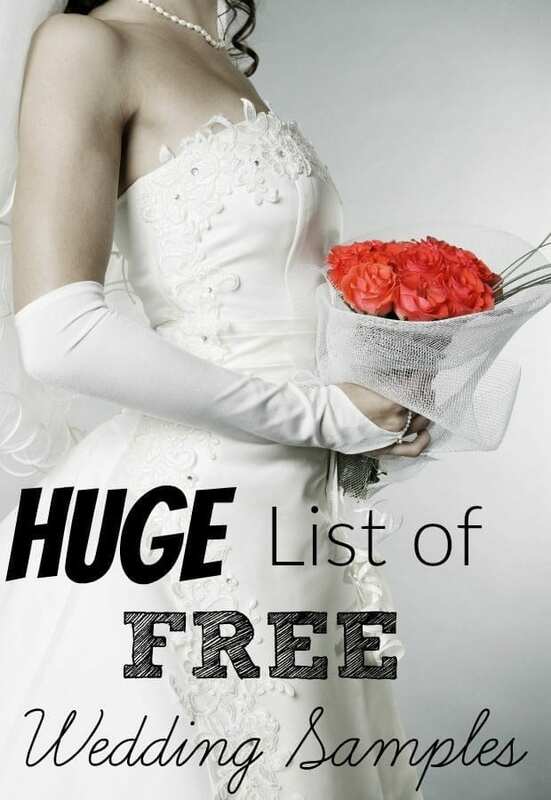 In the list below, if a book is marked with (KU) beside the book name, this is a free wedding book available to read on Kindle Unlimited for free. If there is no mark, the book or magazine is 100% free at the time of this posting. To view each free wedding book or free wedding magazine, simply click the name of the book below. From keeping yourself organized to creating invitations, free wedding planning printables are great for planning your own wedding. Here are a few wedding printables you will love! Just click on the printable below to print it! One of the most expensive parts of a wedding is the actual wedding dress or wedding gown. The dress is what makes you feel like a princess on your special day. However, you can get the dress of your dreams for free. Here are a few places to score free wedding gowns. Their mission is to provide free wedding gowns to brides undergoing financial hardship in the Southeast Michigan area. Fill out the application to see if you qualify. Brides Across America provides free wedding dresses to women in the military or those who are marrying into the military. More information can be found HERE on their website. Skip having the photographer edit your images and download these free photo editing software programs to do it yourself! PicMonkey – PicMonkey has both a free version and an upgraded paid version. I use it every day of my life to edit the images you see here on the blog, including the one in this post. Check it out HERE. Keep track of things with spreadsheets, word processor docs and more with the Free Open Office Software found HERE. Head over HERE to eWedding and you can create a free wedding website to help keep your guests updated on your wedding ceremony and story. Wedding Wire allows you to create a free wedding website HERE. You’ll also be able to keep track of your wedding budget aand more. The Knot allows you to create a free wedding website too. Not only can you share photos and your story, but your guests can even RSVP right on the site. Head HERE to check it out. Sign up for Zola HERE and you’ll be able to create both a multi-store wedding registry and your wedding website for free. York Photo is offering a free photo canvas for new customers through 3/31/19. Head HERE and use coupon code NEW8x10 to get yours. Shipping applies. No only can you snag a free photo canvas from York Photo, but head HERE and you can grab 40 free 4×6 photo prints with no coupon code needed. Download the Shutterfly app HERE and you’ll score 1 free photobook every month. This is a great freebie that will allow you to really customize your wedding photos. The wedding deals and wedding coupon codes below aren’t necessarily free, however they will help you save in different areas of your wedding. Take a look to see if there are any you may be able to use. In this post, I share with you how I got my wedding dress super cheap. Check it out HERE. If you have issues saving money and/or a lower credit score than you would care to have, you’ll want to check out Self Lender HERE. Self Lender basically creates a loan for you that you do not receive. It is kept in a CD for you. Each month, you’ll make your minimum monthly payment. At the end of your CD term, you will receive the money you saved minus any fees. Since Self Lender reports this loan to the credit bureaus, your score goes up too! Mine jumped a whopping 31 points the very first month I used Self Lender! Start your married life off right by building wealth. Sign up for an Acorns account HERE and use your spare change to invest in ways to build wealth. You can do regular investments or create an IRA to help you and your new spouse later in life. They’re even bringing out a checking account that automatically invests your spare change. If you’re looking to go away for your honeymoon, be sure to check Groupon. Not only can you find hotel deals, but you can sometimes save huge amounts on entire destination packages. Sign up for Groupon HERE if you have not already. CityPass is another great place to find ways to save on your honeymoon. They are available for several cities. Each city offers a different package of locations you can visit for one price instead of paying individual admission prices. Check out CityPass HERE. If you’re planning on doing any of your wedding shopping – especially for things such as food – sign up for a Target Redcard Debit Card. Members get free shipping from Target.com and 5% off of your purchases online or in-store. They also offer exclusive coupons occasionally. This is not a credit card. It is a debit card. Check it out HERE. When it comes to saving money, it’s important to start being thrifty even before you say “I do.” What other ways have you found to save money on your budget wedding? *Post Originally published 2014. Last updated 3/5/2019. Thank you! I am a mother of the bride, and so excited to share these resources with my daughter! Thank you for the information I am a mother of six and this definitely helps me plan my wedding on a budget every savings is a plus! Do you know of freebies for “vow renewals” for milestone weddings? Sites specifically for vow renewals are welcome. P.S. We’re calling our event a “Covenant Celebration”. We both believe our lifetime vow is sacred and cannot be improved upon. So we have decided to celebrate the vow itself! Carol, I don’t right off hand but I will definitely do a post if I find any! Bye Bye Bingo Wings is now over $9. But loving your list, thank you!! Thank you for letting me know Michelle. I will be updating it later this week and hopefully will find a few new ones to add. For active duty members of the US military, active reservists and qualifying retired veterans US military Chaplains are required to marry you without cost. Many facilities such as chapels on US military bases are free and just need to be reserved through the chaplains office. Our wedding could have been just the cost of the marriage license this way but we bought a few extras dress, rings, cake, decorations etc all totaling just $500.00 for our whole wedding, it really was the free chaplain and free space that really curbed our cost. This is so helpful, thank you. I will say that I created a registry with Target and I have gotten at least five $20 gift cards from them. I don’t know why they keep sending them to me but I’ll take it! Thank you Stacy! I appreciate the work you have done to put together all of this information for us. It really helps the household budget. Keep up the good work, you are awesome!! All of the books except for the one about centerpieces cost money (unless you have a kindle subscription). I created all my wedding invitations for free through Evite. All online and sent out to my guests through Email or Facebook so we saved paper and everyone got their invites immediately, no waiting around for the post… which would’ve cost us hundreds of dollars, posting them from Canada back to England!